Sofia the First - the second season of this show went up on Netflix recently and the girls' just finished it. "I'm finding out what being royal's all about..making my way, it's an adventure everyday." The theme song is REALLY catchy, but Piper won't let me sing it. Downtown Abbey - You know, it's been a lot of ups and maybe more downs with this show, right? I'm watching on the pbs website since we don't have TV, so I'm at least a day behind. I'm really glad that Carson and Mrs. Hughes are married and that Edith has such fabulous headbands. 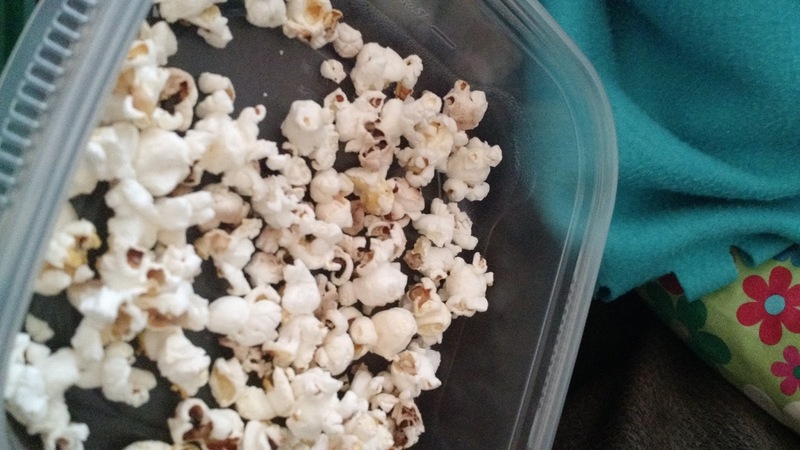 Homemade popcorn - I can't eat microwave popcorn anymore; I just can't. 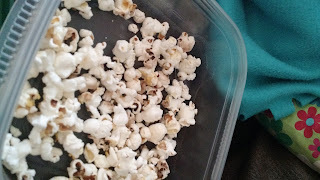 We eat my homemade popcorn frequently and it kinda saved the day during the snow extravaganza. I've developed my technique: popped in coconut oil, sprinkled with kosher salt. Or tahin. Or popped with coconut oil and sugar, then sprinkled with salt, which is kettle corn-y perfection. 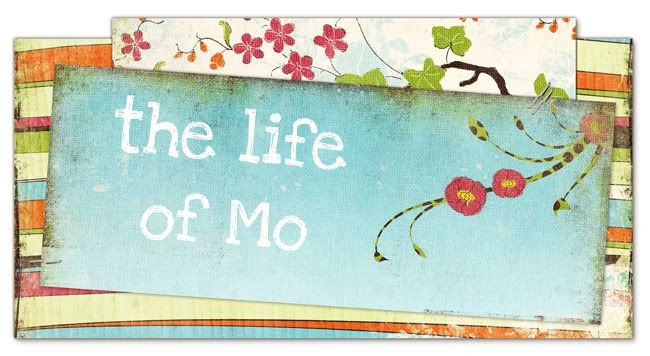 The life changing magic of tidying up - I already wrote about this. It feels really good to be letting go of things that we can send to a better home. Or the dump. The bookshelf in our living room has never looked so good. Yeah Downton Abbey! Great Popcorn and all the books, movies and fun things you guys are doing. It has been a cold January, even in FL. Hugs to all.